As so often my first stop is Singapore. One of the most amazing cities & countries on the planet. It’s the elected “most performing smart city” of the world 2017. If you are in AI, Analytics, IoT or Big Data in general, this is the place to be and really get things done. 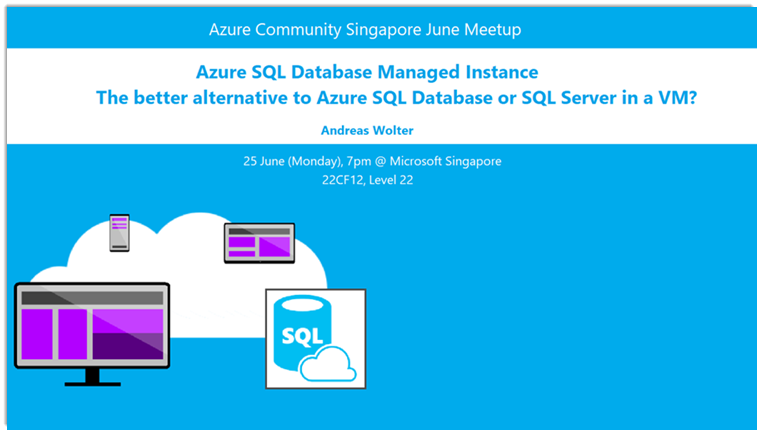 and I will be presenting on the new SQL Database Managed Instance: Azure SQL Database Managed Instance – The Better Alternative to Azure SQL Database or SQL Server in a VM? The session has only been recently announced but is already filling up quickly. About 50% of the seats are booked already, just after the end of the early bird (June 15th)! 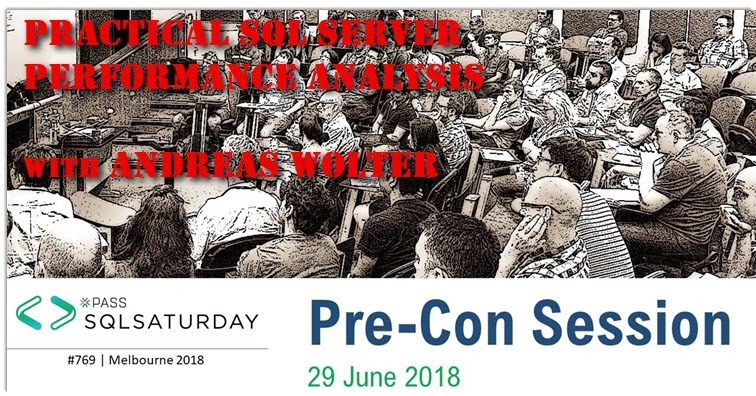 The weekend after I will be in Sydney for the SQLSaturday conference and a User Group Meeting. On July 10th I will present at the Sydney SQL Server User Group on another very technical topic: Locking & Blocking. With 16.473 km or 10.236 miles from Frankfurt to Sydney this is the longest trip for me so far. Goh Chun Lin from Singapore, Martin Cairney and Martin Catherall from Melbourne, Grant Paisley and Victor Isakov from Sydney, Dominic Lee, Ken Lin and Jacky Yau from Hong Kong. Thank you for you very unbureaucratic and sometimes super spontaneous organization for Event Locations and more. Some of them made it happen within a matter of less than a week. Great spirit. In that sense: I hope to meet many enthusiasts like you at these events. When you see me, come and say Hello.